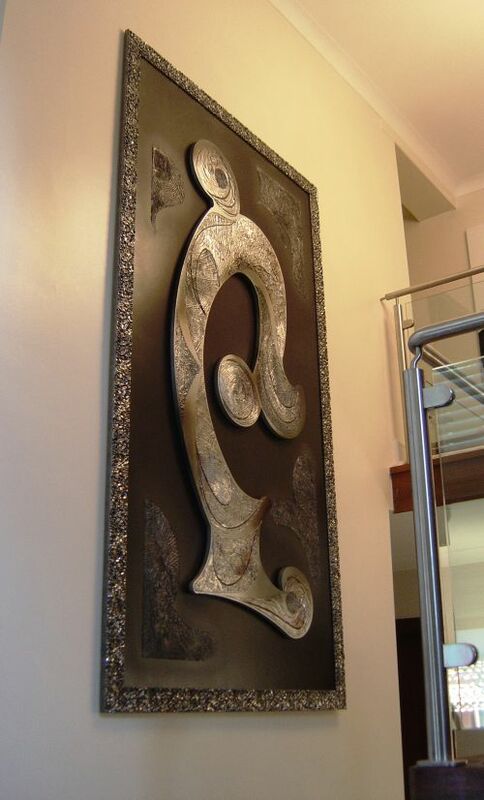 This sculpture is "floating" above the back board which is also framed. It has a three dimensional quality and tactile textures. Its impressive scale will certainly be a statement even in a large space! The colours are rich browns, pewter, silver contrasted by black tones with purple accents.